Discovered in 1982 near the village of Sveshtari, this 3rd-century BC Thracian tomb reflects the fundamental structural principles of Thracian cult buildings. The tomb has a unique architectural decor, with polychrome half-human, half-plant caryatids and painted murals. The 10 female figures carved in high relief on the walls of the central chamber and the decoration of the lunette in its vault are the only examples of this type found so far in the Thracian lands. It is a remarkable reminder of the culture of the Getes, a Thracian people who were in contact with the Hellenistic and Hyperborean worlds, according to ancient geographers. Découvert en 1982, près du village de Svechtari, ce tombeau thrace du IIIe siècle av. J.-C. illustre les principes fondamentaux de construction des bâtiments religieux thraces. Le tombeau présente un décor architectural unique avec ses cariatides polychromes mi-humaines mi-végétales et ses peintures murales. Les dix silhouettes féminines réalisées en haut-relief sur les murs de la chambre centrale et le dessin graphique de la lunette de sa voûte sont les seules décorations de ce type découvertes jusqu’ici sur le territoire thrace. C’est un témoignage remarquable sur la culture des Gètes, population thrace qui fut au contact des mondes hellénistique et hyperboréen, selon les termes de la géographie antique. اكتُشف هذا الضريح التراقي الذي يرقى إلى القرن الثالث قبل الميلاد في العام 1982 بالقرب من بلدة سفيشتاري، وهو يعكس المبادئ الأساسية لتشييد النصب الدينية التراقية. يتميّز هذا الضريح بتصميم هندسي فريد في نوعه يظهر من خلال مجموعة الأعمدة المتعددة الألوان التي تتخذ شكل امرأة في نصفها الأعلى وشكل نبتة في نصفها الأسفل وكذلك من خلال رسومه الجدارية. ولعلّ التماثيل النسائية العشرة المنحوتة بشكل ناتئ على جدران الغرفة الوسطى والرسم التخطيطي على فتحة القبة هي الزخرفات الوحيدة من هذا القبيل التي تم اكتشافها على الأراضي التراقية حتى يومنا هذا. ويعطي هذا الموقع شهادة واضحة على ثقافة الشعب الدجيتي، وهو شعب تراقي عايش العالمين الهليني والشمالي، بحسب تصنيفات علم الجغرافيا القديمة. Обнаруженная в 1982 г. около села Свештары эта фракийская гробница, датируемая III в. до н.э., отражает основные принципы построения фракийских культовых сооружений. Гробница имеет уникальное архитектурное оформление многоцветными кариатидами (в виде полулюдей – полудеревьев) и стенными росписями. 10 женских фигур, выполненных в высоком рельефе на стенах центральной камеры, и украшения люнетов ее свода являются единственными образчиками такого рода, обнаруженными к настоящему времени во фракийских землях. Гробница - значимое свидетельство культуры гетов и фракийцев, находившихся по представлению географов древности в контакте и с эллинистическим, и с северным (гиперборейским) мирами. Descubierta en 1982, cerca de la aldea de Svestari, esta tumba del siglo III a.C. es representativa de los principios esenciales aplicados por los tracios en la construcción de sus edificios religiosos. La ornamentación arquitectónica de la sepultura es única, con sus frescos y sus diez carií¡tides polí­cromas, mitad mujeres y mitad plantas. Estas diez figuras femeninas esculpidas en altorrelieve en la cí¡mara central, así­ como la decoración de la luneta de la bóveda, son los únicos ejemplos artí­sticos de este tipo encontrados hasta ahora en el antiguo territorio tracio. La tumba es un testimonio excepcional de la cultura de los getas, pueblo tracio que estuvo en contacto con el mundo helénico y el hiperbóreo, según los geógrafos de la Antigüedad. De Thracische tombe van Sveshtari werd in 1982 ontdekt in de buurt van het dorp Sveshtari en dateert uit de 3e eeuw voor Christus. Het graf weerspiegelt de fundamentele principes van Thracische cultusgebouwen. Het decor van de tombe is uniek qua architectuur, met polychrome kariatiden en muurschilderingen. De tien vrouwenfiguren in hoog reliëf op de muren van de centrale kamer en de versiering van de lunet in het gewelf, zijn totnogtoe de enige voorbeelden van dit type uit de Thracische cultuur. Ze vormen een uitzonderlijke herinnering aan de cultuur van de Getes, een Thracisch volk dat in contact stond met zowel de Hellenisten als de Hyperboreeërs. The Thracian Tomb near Sveshtari is an extremely rare and very well preserved monument of the sepulchral architecture containing remarkable elements in terms of their quality and style sculpture and painting. The Tomb is also remarkable for the fact that it represents local art, inspired by Hellenism, a rare case of an interrupted creative process which possesses specific characteristics. Criterion (i): The Thracian Tomb near Sveshtari is a unique artistic achievement with its half human, half vegetable caryatids enclosed in a chiton in the shape of an upside down palmette. The fact the original polychromy has been preserved with its ochre, brown, blue, red and lilac shades adds to the bewitching charm of an expressive composition where the anthropomorphic supports conjure up the image of a choir of mourners frozen in the abstract positions of a ritual dance. Criterion (iii): The tomb is exceptional testimony to the culture of the Getes, Thracian peoples living in the north of Hemus (contemporary Stara Planina), in contact with the Greek and Hyperborean worlds according to the ancient geographers. The Tomb is also remarkable for the fact that it represents local art inspired by Hellenism, a rare case of an interrupted creative process, which possesses specific characteristics. This monument is unique in its architectural décor and in the specific character of the funeral rites revealed by the excavation. The integrity of the site is consistent with its unchanged character, and the surrounding area. The monument is located within the archaeological reserve "Sborianovo", where more than 40 Thracian sepulchral mounds, various sanctuaries, ancient and medieval villages, buildings, a fortress, mausoleum and a minaret from the ottoman period, exist. The property encompasses within its boundaries all the components necessary to convey its Outstanding Universal Value. The Property retains its authenticity, being preserved in its original location by a moisture-isolating protective shell when the external sepulchral mound was reinstated. The enclosing embankment also emerges as a unique element in the surrounding landscape. The general condition of the original stone figures and pictorial elements of the construction is good, and the spatial organization of the Tomb is retained unaltered. The conservation work has been completed with minimal and discrete interference. The Tomb is open for visitors whilst meeting technical conservation requirements. - Cultural Heritage Law (Official Gazette No.19 of 2009) andsubdelegatedlegislation. 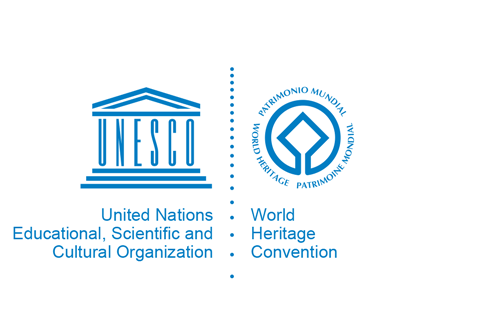 This law regulates the research, studying, protection and promotion of the immovable cultural heritage in Bulgaria, and the development of Conservation and Management plans for its inscribed World Heritage List of immovable cultural properties. - The Spatial Planning Act - (Official Gazette, No.1 of 2001 with amendments) and subdelegated legislation relates to spatial and urban planning, investment projects and buildings in Bulgaria. It also determines particular territorial and spatial protection, and the territories of cultural heritage.